This year (2017) the Larco Museum won Trip Advisors award for the top 25 museums in the world. 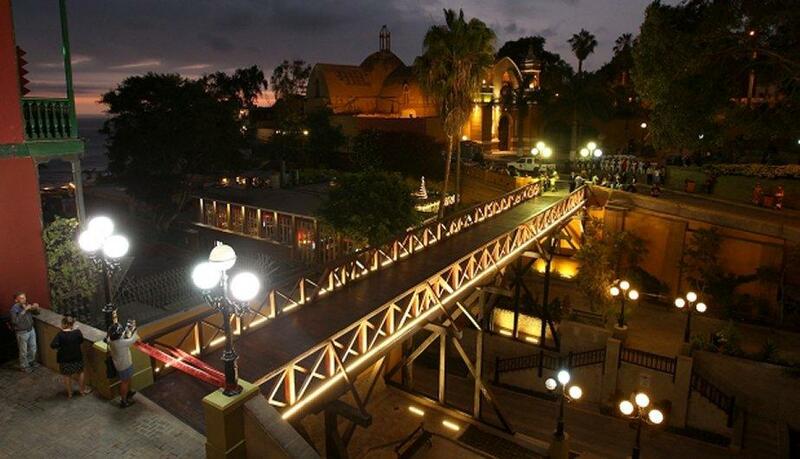 The Larco Museum (Museo Arqueológico Rafael Larco Herrera) is a privately-owned museum of pre-Columbian art. The museum is housed in an 18th-century vice-royal building built over a 7th-century pre-Columbian pyramid. Ten reasons to use a travel professional, concierge service or tailor made travel services. In the age of technology, booking trips online may seem like a no brainer. Yet, a recent study indicates that the use of a travel professional is up by 12%. Here are 10 reasons ways a travel professional can help improve your journey. 1. We’ve been there, we know the places, we listen to you, and we understand your interests. Today, travel professionals often specialize in niche markets. This specialization offers greater insight into a specific destination or segment of travel. You want to experience a local culture or perhaps an upscale spa. Whether you want the perfect beach or best place to bungee jump, travel professionals can help make it happen. 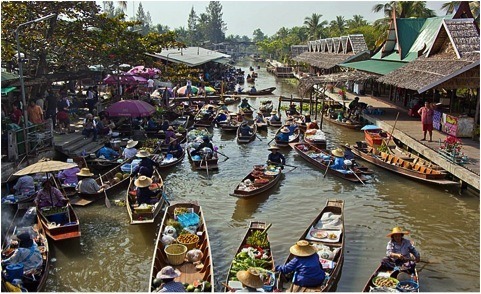 From floating markets, to upscale restaurants, we’ve been there. Professionals also spend time getting to know the customer in order to make client specific recommendations tailored to what you want to do. Remote archipelago offers exceptional nature observation. The Galapagos Islands are one of the most incredible wildlife-watching destinations in the world. Besides the sheer spectacle of the place, this remote archipelago is a land of cactus forests, stark lava formations, lush green highlands, turquoise bays and quintessential tropical beaches, and unique and abundant wildlife at every turn. As a bonus, the location of this archipelago at the earth’s equator makes it a perfect year-round travel destination. The weather is relatively constant for 12 months of the year and there is always – as one would expect – 12 hours of daytime and 12 hours of nighttime. One of my favourite parts of travelling to the Galapagos Islands is clear illuminated night skies unobstructed by the hue of man made lights. Darwin himself marvelled at the amazing animals found on the Galapagos Islands. Large and small, the islands are filled with unique species that delight the eye and capture the imagination. With that in mind, here are our 5 must-see Galapagos animals. It’s a ballroom experience unlike any other: our Ballroom Dancing at Sea cruises provide an exclusive opportunity to take in the high seas and feel the rhythm. Let the music take you as you dance the night away. Either join us with a friend or meet some new ones while you take the sights and sounds of the ocean. Each year we organize one perfect cruise experience and invite renowned ballroom dance teachers to join us. Besides cruising, you’ll get to take lessons from our experts who will also dance with you each evening. In April of 2019, Ole Burlay and Annie Lebedeva will improve your ballroom dance skills, your fun, and all the while travelling from Monte Carlo to Venice. A destination not to be missed. Other dance professional will whirl and twirl with us. Steve James an hustle and west coast swing pro and Amir Shafi – a stunning dancer from Paris, will win your hearts. If you have a passion for dance, join other enthusiasts on this special Crystal Cruise adventure. Five things you need to know about Argentinean Tango. It is a must to round out any Buenos Aires experience. Tango is passion, the music is haunting, there is tango for show and then there is the real tango, and lastly, tango is pure entertainment. It is commonly held that tango was born in the brothels of Buenos Aires, Argentina. It’s more likely tango started elsewhere, but the brothels of the port area of La Boca is where people of the upper and middle classes first encountered it. Brothels were major places of entertainment for the working classes. Due to a shortage of women in the early days of Buenos Aires, prostitution became a thriving industry, with long queues forming as men waited for the women to become available. Visit the ever-colourful houses of La Boca for a glimpse back into history, where tango dancers perform on the streets outside the buildings, maintained as a memory to this port city’s past. A picture is worth a thousand words. This one captures the essence of relaxing in Capri from one of the most charming boutique hotels. Want to know more? Contact our concierge service for your tailor-made dream trip. The Isle of Capri has drawn hedonistic visitors since Roman times. Today’s visitors represent the glamorous jet set, fashionistas and nature lovers alike. Located in the Tyrrhenian Sea in the Campania region of Italy, Capri is the name of both the island and the main town. Breathtakingly beautiful Capri is swarmed in July and August, but May and September still boast amazing weather and thinner crowds, with enough action to keep any traveller happy. By late September the streets and alleys are quiet and you can get to know the locals. Bring your most comfortable walking shoes! Most of Capri is closed to traffic and there are few parking places; mid-March to November there is no traffic allowed except for residents and those with motorbikes. If you get tired of walking take public buses or taxis. When in Italy, Eat Like the Italians! Eating in Italy is like entering a culinary landscape far removed from what Americans have become accustomed to, where time remains still, and recipes have been passed down for generations. I have visions of a rustic kitchen with a ray of sunlight beaming though the window, a puff of cloud from freshly kneaded pasta dough primed to be hand rolled and cut into various shapes and sizes, or wrapped around humanely raised meats or unprocessed cheese. The noodles would soon be graced with a naturally sweet tomato sauce so delicious it may be mistaken for candy. Food of this caliber makes a girl following a “restricted-vegan-diet” question whether it’s necessary to stick to her “rules”. How does one experience the finest of Italian cuisine when traditional fare is centered on Parmigiano-Reggiano, mozzarella, salami, crema, and white flour? I think to myself, “When in Rome”…well, in my case, “When in Firenze”. I decide to let loose and allow a few slight modifications. What I left with was a truly scrumptious experience worth writing home about. It’s extremely popular to want to tick off those “10,000 places to see before you die,” but when you do travel to a bucket list destination, be sure to seek out nearby places that give you something exceptional to remember and talk about with your friends. When one more friend says they’re going to Machu Picchu, you want to tell them also to visit the desert peninsula of Paracas, Peru’s often missed destination of exquisite beauty, just 260 miles south of Lima. Paracas is where miles of sand dunes meet the bluest of seas. The Paracas National Reserve on the Ica Peninsula is a coastal subtropical desert. There is no public transportation to get there, but a group or private tour can be arranged for you. Considered one of the richest and most unique ecosystems in the world, Paracas is for people who love nature, want to see the desert, and are interested in the wildlife. A marine reserve is dedicated to the protection and the conservation of the sea ecosystems, as well as for the protection of the cultural and historical patrimony of the pre-Incan Paracas culture. The moment my husband and I arrive in El Calafate, an oasis town in Southern Patagonia’s desert, we know that our decision to travel to Argentina’s outback wilderness was right. It is exotic and exciting. Birds dig their webbed feet into the sand to keep from being blown away. Clouds swirl past the snow-capped Andean peaks. We came to explore remote hiking trails, gawk at wind-hewn icebergs, and walk on Perito Moreno—one of the southern hemisphere’s few advancing glaciers. “That’s Cristina’s place,” announces our driver. He points to sprawling bungalows and an enormous villa. They are surprisingly lavish in this frontier town of slapdash clapboard buildings with corrugated metal roofs. “Who’s she?” I ask, sounding quite ignorant, I later realize. “The President. She vacations here. Owns the hotel.” Los Sauces belongs to Argentina’s first elected female leader, the glamorous and tough Cristina Fernández de Kirchner. I hadn’t realized that our accommodations and her private home would be so close together, sharing an elegant décor of British hunting lodge-meets-hearty ranch. The property originally belonged to her late husband and political predecessor, Néstor. The goal to transform the remote location into a premier travel destination is ongoing. Progressing from a one-runway airport to a four-terminal stop opened in 2012, all signs point to their success. After checking in, we bundle up for the trek to the hotel bar. Sand hits our faces like shards of glass. There’s an eerie quiet. We are aware of thethings that are missing more than what is there: an absence of city lights and neon signs leaves us in unfamiliar darkness. Because we are traveling off-season, the staff has time to chat while plying us with drinks. Chef Carlos whips up a parilla that includes a lamb chop the size of a rib steak and a steak resembling an entire side of cow. Excited by my limited Spanish, he rambles on about the region’s world-class cattle culture. In Argentina, animals roam great expanses of open land, chewing thick grasses and grey-leaved desert thorns. It takes six years—compared to one year in North America—to bring the meat to market. We savour the results—a reduced-fat beef with melt-in-the mouth tenderness. Starting breakfast with dessert is a slightly wicked Tuscan tradition that I thoroughly enjoy. At Florence’s Hotel Il Guelfo Bianco, the chef’s freshly baked crostata is a sensory delight. The sweet jam oozed in my mouth as the buttery crust crumbled onto my tongue. Manager Antonella Rocchini says the cheerful chef can be heard humming and whistling while baking. “Of all the treats on our menu, crostata is the most popular,” she adds. After devouring too many pieces of the lattice masterpiece, I understand the attraction. The tiny, unadorned breakfast room hardly seems like the setting for such delicious food, but the morning buffet is filled with goodies from melt-in-the-mouth burratta cheese to warm apple tarts topped with smooth, creamy ricotta. As in most small Italian-owned hotels, a barista makes guests the perfect morning coffee. A barista is a professional coffeemaker who understands the important harmony between milk frothed into white airy peaks and the bitter dark espresso base. The combination of taste and texture creates the perfect balance. A great way to connect with a place is on a guided walk or day tour with a local expert. 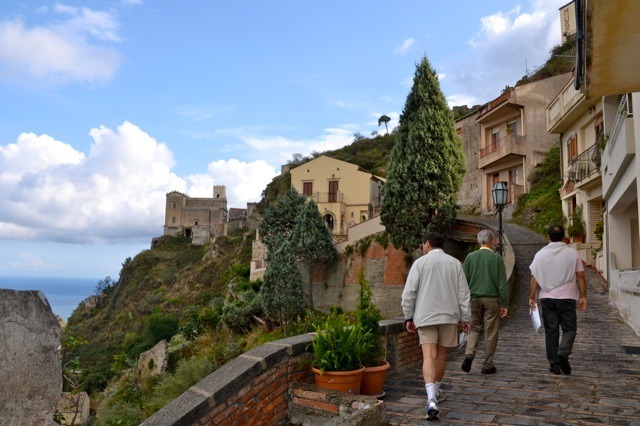 In Italy, we have amazing one day and week-long guided walks and tours to suit every fitness level. You may wonder why we choose to use Italian licensed guides with quirky accents. The simple truth is that you can have the best accommodations and food, but without a local guide, you will miss the insider experience. Our local guides know the people in each small town or village, they know the off-the-beaten-path trails, and they are passionate about the history, geography and culture of their land. We engage North American staff to help with bridging the gap between cultures. But it is our local contacts that really make the difference and will leave you with memories to last a life time. Our guided walks take you on footpaths that have connected towns for centuries, before paved roads became the norm. Turning a good trip into a great one is no easy feat. We do this by choosing leaders for their knowledge and expertise and of course, for their humor. Our feature image is a special walk to the church in Sicily where the Godfather II was filmed. Our expert guides are leading us to the church where Michael Corlioni was married. We end with a glass of limoncello at the local bar, followed by some grappa for those with a strong stomach. Join us for one of our group departures or let us customize a journey tailor-made to your tastes. Chianti is one of the central regions in Tuscany. Chianti wines, formerly recognized by the squat bottles encased in a straw basket has now joined the rest of the region as one of the major producers of elegant water for the gods. AMA 2010. Priced at about $27 Canadian and $17 Euros in Greve, this wine has flavourful bouquet that opens beautifully from the first sip. Here is a wine that can be enjoyed in its youth without breaking the bank. Founded in 1972, Castello di Ama provides a great product, thanks to dedication and hard work of founders Marco Pallanti and Lorenza Sebasti. Ecuador is a unique cultural oasis host to a variety of beautiful landscapes. The country appeals to all types of travelers, offering luxury and backpacker accommodations, soft and hard adventure activities, indigenous cultures and unique species of animals you won’t find anywhere else in the world. Here are the top five places you should visit when travelling through the country. North of Quito, the capital city of Ecuador, you’ll find the vibrant Northern Andes. This mountainous region is known for its majestic peaks, “lake region” and indigenous villages. Many people visit the Northern Andes to see the volcanic lakes, particularly Quiloltoa. When travelling through the region, a stop at Otavalo Market is a must! 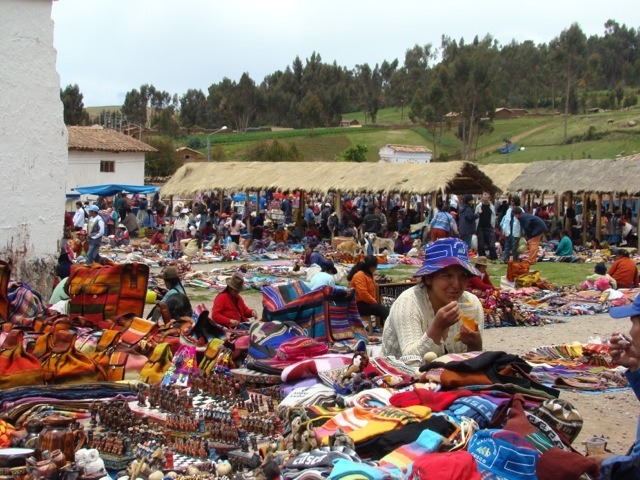 The market sells Ecuadorian handicrafts, including hand-woven ponchos, wool sweaters and woodcarvings. Enjoy a unique and authentic travel experience with a stay at Hacienda Zuleta, a country house built during colonial times on 4,000 acres of land. When visiting, guests can check out the Condor Huasi Project, which supports the rehabilitation of the majestic Andean Condor. The Isle of Capri Italy. A treat on or off season? The Isle of Capri Italy has tempted hedonistic visitors from Roman to modern times. Today’s visitors represent the glamorous jet set, fashionistas and nature lovers. Behind that glitter is an isle with breath taking natural beauty. The Isle of Capri is swarmed in July and August, but May and September still boast amazing weather with enough action to keep any traveler happy. By late September the streets and alleys are quiet and you can get to know the locals. 5 things to do in Capri Italy. You may ask yourself what’s so special about a cave, but the Isle of Capri’s Blue Grotto is one of nature’s finest attractions. The tricky thing about the Blue Grotto is that you can only enter with a calm sea and a low tide. So you may pay your trip, start the ride, stop at the entrance and discover that, unfortunately, you arrived exactly when it will be impossible to enter. Ask about sea and tide conditions before paying for the boat ride. Sicily is an enchanting and most definitely Italian island. Once Greek, once Roman, once Norman, this jewel of the Ionian sea sits half on the European continent and half on the African continent. The culture, architecture and food reflect a bit of its historic past. Here are 5 of my favorite photos from our Sicily travels. Built in 440 BCE, this is one of the most intact Greek temples in all the world. 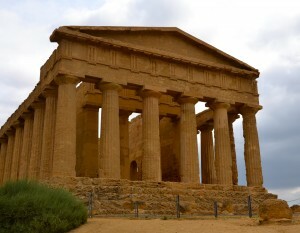 For those who like ancient architecture and history, this is a must see on Sicily’s southwestern coast. Even in ancient times, the Greeks understood how to construct a building with a solid and wide base, strong enough to withstand the movement and shifts of the tectonic plates. Visit the temple off season and you can walk between the ancient buildings in the valley of the gods. Without the crowds of tourists you’ll be taken back to another era. As one of the most accessible ice fields in the world, the Perito Moreno glacier attracts thousands of tourists to Argentina every year to take in its rigid, icy peaks and the boisterous roars of falling ice bergs. This spectacular feat of nature, a sprawling wall of vivid blue ice, runs through the southern region of Los Glaciares National Park. Perito Moreno is an active glacier, moving up to two metres a day, sending massive pieces of ice into neighbouring Argentino Lake. When visiting the region, Perito Moreno should be at the very top of your to-do list. The glacier is located approximately 80km from the town of El Calafate, a favourite among tourists. The town is easily accessible from El Calafete International Airport with regular service from major cities in Argentina and Chile. Once in El Calafete, travellers can conveniently take buses to the glacier, other areas of Los Glaciares National Park and surrounding tourist destinations. Tango is an essential part of any Buenos Aires experience. It is commonly held that Tango was born in the brothels of Buenos Aires, Argentina It’s more likely tango started elsewhere but that the brothels of the port area of La Boca is were where people of the upper and middle classes first encountered it. Brothels were major places of entertainment for the working classes. Due to a shortage of women in the early days of the history of Buenos Aires, prostitution became a thriving industry, with long queues forming as men waited for the women to become available. Visit the ever colorful houses of La Boca for a glimpse back into history where tango dancers perform on the streets outside of colorful buildings, maintained as a memory to the this port cities past. The Amalfi Coast stretches for 43 miles around the Bay of Naples. It is on many people’s must-do-list and is renowned for its natural beauty and summertime appeal to jetsetters. Even though Ravello is a small town along the Amalfi Coast, I’ve decided to highlight two great things to see. Ravello is a tiny town perched more than a kilometer above the Amalfi Coast. Ravello’s Villa Cimbrone is one the Amalfi coast’s top must-see places. The views are spectacular. If you are a music lover and lucky enough to be there during one of the summer concert series, then don’t miss this opportunity. The Villa Cimbrone dates back to the 11th century and is now a hotel with well tended gardens that are open to the public. 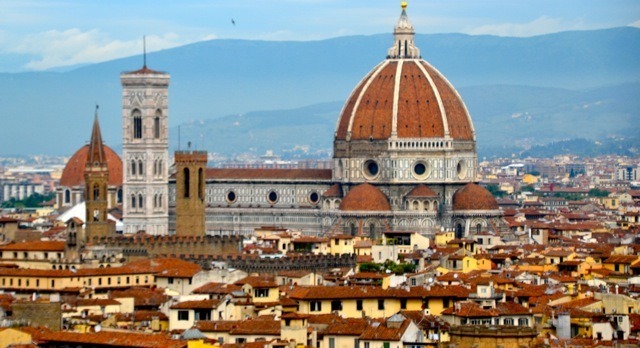 When in Florence, the Duomo is a must-visit things to do on any list. Centrally located, you can easily walk around its p erimeter on the way to or from any other. If time is limited, walk around the duomo’s exterior and skip the long line to get inside. Take the time to admire intricate façade and appreciate Filippo Brunelleschi’s dome and Giotto’s Bell Tower from various angles. Look closely at the incredible marble work, a masterpiece for any era. The marble has been cleaned recently exposing the incredible greens, browns, blacks, and terracotta colors. Pictured below is some of the outstanding detail. Conveniently adjacent is the Baptistery. In a half day you won’t have time to check out its interior but do take the time to stop in front of Lorenzo Ghiberti’s doors. The biblical stories told in the worked bronze of these extraordinary doors are awesome. Food markets in Italy can be found in every city, town and village. In the larger cities the food markets are generally in permanent locations and even within permanent structures. In the smaller towns these markets may appear once or twice a week, pack up, and move on to the next town. When visiting smaller towns it’s best to check ahead and find out what day of the week the market will be there. Here are a few permanent food markets in the larger cities. 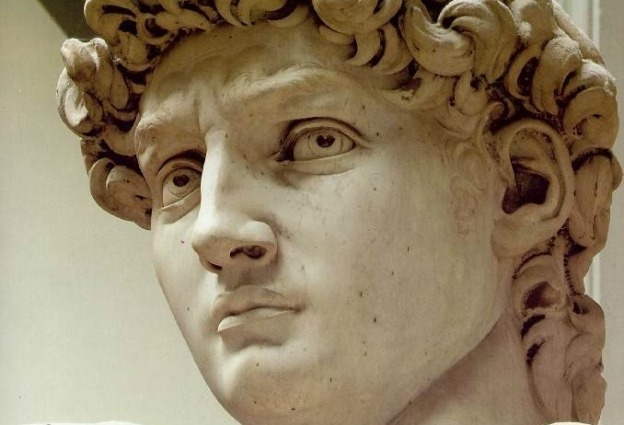 Florence’s Piazza della Signoria is a must stop for any renaissance aficionado. Most of the statues are of male nudes, and very well proportioned ones at that. In the 15th century Renaissance sculptors studying the classical ideal found that freestanding nudes had been missing in Europe since the Roman Empire. Even though our own modern times seems to have an absence of free standing nudes, I haven’t seen a mass movement to erect new ones! Thousands of years and numerous cultures have affected the coveted confectionary of chocolate. Italy’s major contribution came around the 1800s out of necessity more than anything; that was the delicious mix of hazelnuts and cocoa. Before Italy discovered the secret of chocolate, the sweet journey began with the ancient Egyptians, Aztecs and Mayan cultures. The first trace of cocoa arrived in Europe only in 1492. Christopher Columbus brought cocoa beans to the Spanish King and Queen but the beans were passed over for other treasures. Thirty years later, Spanish explorer Hernan Cortès brought the beans, equipment and recipes from Mexico. This time cocoa was accepted with excitement. Monks in Spanish monasteries were appointed as the cocoa bean processors and made to keep chocolate a secret. This secret remained until the 1600s when Italian traveller Antonio Carletti discovered chocolate while visiting Spain. Once chocolate reached Italy, it spread quickly. 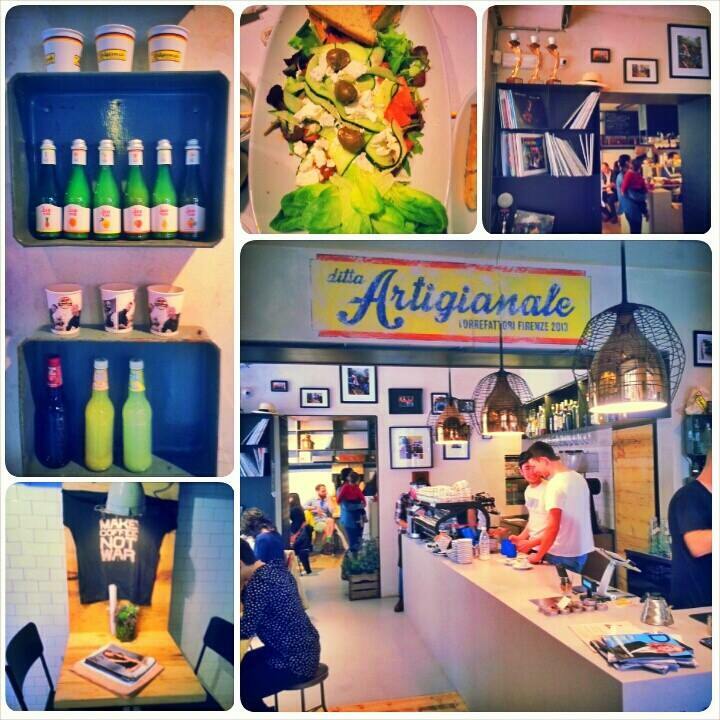 Cioccolatieris opened in all major Italian cities. From Italy, the new delicacy reached Germany, Austria and Switzerland. The Catholic Church’s approval helped spread the chocolaty drink’s popularity, as did the royal courts. The Amalfi Coast stretches along the southern coastline of the Sorrento Peninsula and is known for its picturesque landscape. The expanse of vivid blue salt water, vertical climbing mountains, and a soft scent of lemon blossoms surround your senses. The region’s beauty has made this area a highly popular tourist destination and was declared by UNESCO as a World Heritage Site and an outstanding example of a Mediterranean landscape. Some say the real Amalfi thrill is the scenic drive, and whether by bus or by car, the roads will leave you breathless. Just beyond the hairpin curves of the narrow, Italian road lies a sheer 500-foot drop into the sparkling Mediterranean Sea. Hotels and villas are cantilevered amongst the vertical terrain. Beautiful sandy coves peek out here and there far below. Where to start in the bustling, busy, colorful city of Buenos Aires? In no particular order, here are our top five things to see and do in this amazing city. Numerous gatherings and political protests have taken place since the Plaza de Mayo was first built in the 16th century. The Presidential Palace, or the Casa Rosada, stands at the eastern end. Many important Argentinean politicians have addressed the country from the palace balcony. The Piramide de Mayo, a white obelisk built in 1811, rises in the Plaza’s center marking the first anniversary of Argentina’s independence from Spain. If you happen to visit on a Thursday at 3:30 p.m., you’ll see the Madres de la Plaza de Mayo (mothers of the disappeared) marching for the loss of loved ones during the Dirty War. Tuscany has long ago earned a reputation for its picturesque, Italian atmosphere full of rolling hillsides of vineyards and charming medieval towns. The region’s geography varies dramatically; coastal cities teeter along the Tyrrhenian Sea, while lush mountains, quaint hill towns and river plains stretch far inland. For good reason, the region remains one of the most visited destinations in the world. Most people recognize Tuscany, Florence specifically, as the birthplace of the Renaissance – a time of learning, beauty and, especially, the artistic movements. It’s the literal birthplace of some of the most famous names in Italian (and world) history. This includes Botticelli, Dante, Michelangelo, da Vinci and Galileo. As part of the Renaissance culture, architects wanted to reflect that in the landscapes and created paths that seemed like they would never end. They created gentle hills that would sooth the soul but make visible an open sky and wide open spaces. After this beauty was created, painters began to immortalize it in their art. In mid April of this year, 2014, the San Lorenzo market opened its newly renovated space. Better than “Eataly,” this is Eat IN Italy. Wine tasting, pasta tasting, cheese tasting, pizza tasting, and mama mia! This experience will make both “foodies” and “give me the food” people very happy. After filling your belly with some local specialties, walk outside around on the streets that form a perimeter. Change your gears from food to clothing and souvenirs. Wander through the leather stalls. 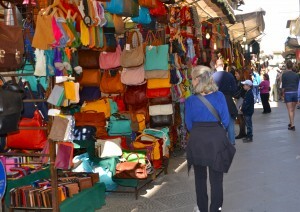 Besides being the largest market in Florence, you will also find some of the best bargains for shoes and purses. If interested, you’ll also find cheap and tacky souvenirs at good prices – from T-shirts to key chains, from wine bottle openers to bookmarks. Though this market is not known for bartering, the prices and variety still make it a treat. Avoid buying the knock offs sold on the streets. The San Lorenzo Market is open daily and caters to locals as well as tourists. Mornings are the best time to visit while casalingue A.K.A. housewives are doing their regular food shopping. It is still common practice to buy food daily and eat it fresh. Spectacularly sited at an elevation of 12,500 feet, with a breath-taking view of snow-capped mountains, lies Chinchero, one of the most typical towns in the Sacred Valley of the Incas. In that town, bright and early each Sunday morning, the authentic, Chinchero Market spreads out before ancient, Inca ruins. Early each Sunday morning, local Indians meet to sell their handicrafts at the market, as they have done for centuries. As one of the most traditional markets in all of South America, it has far fewer tourists and far more locals than the nearby town of Pisac. Artisans (or artisania) dressed in traditional, colorful clothing come to buy and sell their handmade crafts and produce. The culinary experience in Florence is unlike any other, filled with plenty of spots that any foodie will enjoy. But with so many choices it can get overwhelming. That’s why we’re offering our Top 5 Florence Restaurants that you must visit. For many foodies, eating in Florence is a must experience. 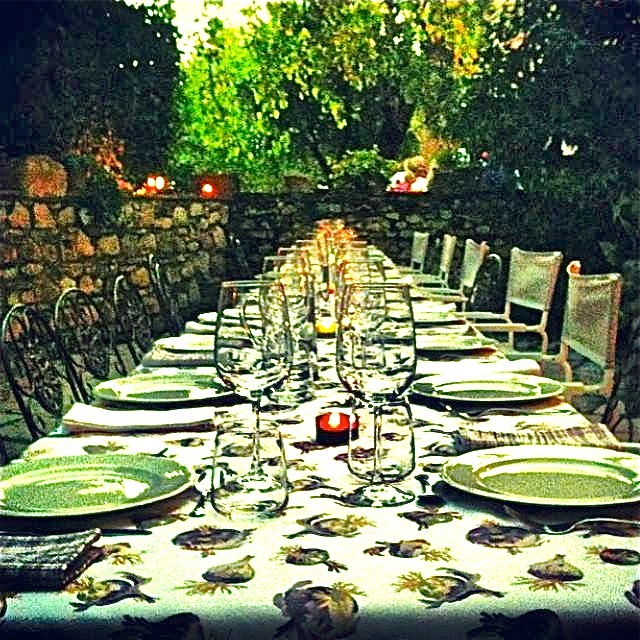 We sample some of these restaurants on our Walking tours in Italy. For the foodie and food savvy there’s an amazing new restaurant slash club in Florence. Across the river Arno, on the Pitti Palace side, and in an unsuspecting, rather dreary location, is an upscale new destination for fish loving, fun loving locals. A few tourists are finding their way to this trendy spot but only because some upscale connoisseur concierges are referring their clients. It’s one of the top ten must-see destinations in the world, and rightfully so. 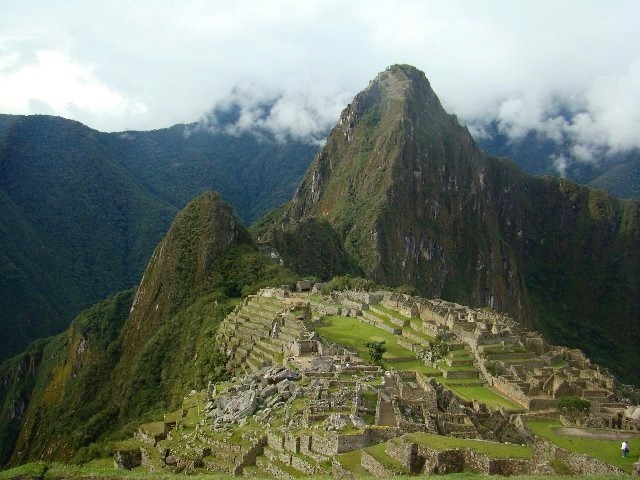 Passionate travellers from all over the world flock to Machu Picchu, the 15th century Inca site that is full of beautiful, historic structures which provide insight into a culture long gone. Located high in the Andes Mountains in what is known as the Cusco Region of Peru, Machu Picchu was brought to the attention of the modern world when it was rediscovered by a Peruvian guide and Yale professor Hiram Bingham. The site had ironically never been lost to local mountain people who still grew crop on the terraced hills. The most interesting aspect of the site is it’s precise location. Astronomers spent two years charting the path of the sun so that the summer solstice would shine through the entrance gate of the summer palace. Today, when hikers walk the trails to enter Machu Picchu, they enter via the sun gate after a 4-day trek of amazing vistas and experiences. Visiting the medieval town of San Gimignano is an unforgettable experience. Not only because of the amazing stonework or the beautiful landscapes, but because of the unforgettable skyline that brings to mind many of today’s more modern cities. Located on a hilltop in Italy’s Tuscany region, San Gimignano stands out from other villages in the area due to its tall stone towers, easily visible from all over the region. 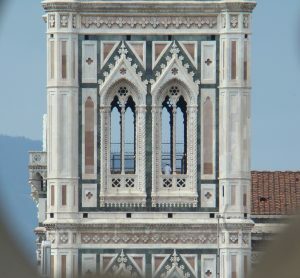 The story of the towers dates back to the 14th century when the town was under the influence of two rival families: the Ardinghelli family and the Salvucci family. A contest began over who could build the taller house, towers being seen as symbolic of power and wealth. Whether you’re an experienced hiker or just want to appreciate an amazing view, the Path of the Gods on the Amalfi Coast is a must-see. From the grandeur of the mountains to the tranquility of the clear blue water, this series of pathways is the ideal way to move between the beautiful seaside and mountain villages of this idyllic location. Many local farmers and villagers use these paths every day, a fact that will be even more impressive once you’ve seen the view for yourself. With thousand-foot cliffs at your feet (and no railing) being up there is an experience you’ll never forget. The natural beauty of the location gives a feeling of living in another time. Like many people, early on in my wine-drinking experience I inquired, “what kind of wine is this” after drinking a particularly lovely Italian red, only to get the response “it’s a Brunello”. From that moment on Brunello became of my favorites. But what makes something a Brunello wine, and why is it so special? There are two very important factors in qualifying a wine as a Brunello: the first is where it is made. Brunello wine comes from the Montalcino part of Tuscany, where it is documented as being made as far back as the 14th century. The geography of it is very important, as Montalcino has one of the warmest and driest climates in Tuscany, and the grapes can ripen up to a week earlier than other nearby vineyards. While planning your trip to Florence, you will doubtlessly come across a plethora of hotel options for your stay. But which ones are worth your time and money? It can be a little overwhelming to sort through all of the websites and travel guides, which is why we’re offering 5 great choices for Florence hotels. Hotel Brunelleschi – History-lovers take note, this hotel is housed in a reconstructed 6th-century Byzantine tower! Now renovated to include a modern and airy look (without losing the classic history of the building), the building is well located, only one block away from Il Duomo cathedral and six miles from the Florence airport. The hotel has recently renovated for a more modern look. Blue-footed booby – A beautiful bird with a funny name, the blue-footed boobies are most easily spotted by the signature blue flippers. While the Galapagos Islands aren’t the birds’ exclusive home, it is the breeding ground for about half of the species’ population. Their courtship rituals are a highlight for anyone who sees them. With bowing, wing-spreading and some more clownish behavior, it’s a sight to behold. There is nothing quite like spending time in a coastal town. Whether you’re smelling the sea air, feeling a breeze in your face or just enjoying the views, these towns are always a joy to visit. Italy is full of such wonderful places, and that’s why we’ve put together our choices for 5 breathtaking coastal towns in Italy. Cefalu – With mountains on one side and coastline on the other, it’s no wonder that Cefalu is one of Italy’s more popular destinations. Despite being a small town (with a population of approximately 14,000), it is known for its idyllic views, great Sicilian restaurants and vibrant nightlife. Sometimes known as Europe’s best-kept birdwatching secret, birding in Italy offers a wide range of fascinating species. With over 500 species (and counting) of our feathered friends currently found here, a visit to this beautiful country is sure to engage novice and experienced birdwatching enthusiasts alike. If you are planning a birding trip to Italy, it is important to keep in mind the time of year you want to visit. While there will be something to see year-round, generally the best periods to visit are considered to be between April and July and again in October. During the summer months several species use Europe as their breeding grounds during this time of year and their vocal birdsongs will make them easier to spot. On the other hand, October sees the birds migrate back to the African continent, which leads to some spectacular spottings. The importance of a truly great “selfie” cannot be overstated. Luckily, for those traveling in Italy, the locations for a great photo, either of just you or with a loved one, are truly endless. Here are some of our location picks for great selfies in Italy. The Path of the Gods – While exploring the Amalfi Coast, this beautiful hike will give you some of the best views you’re likely to get of this gorgeous area. Crossing over spectacular gorges and passing small villages guarantee that you’ll have some amazing spots for your photo. Known for its art, architecture and beautiful landscapes, Sicily is a must-visit destination with a rich and engaging history. Having been occupied by the Phoenicians, Greeks, Moores and Romans (to name a few), the island is bursting with cultural importance and amazing views. Here are a few reasons that we think you must take a Sicily tour. Ruins – With such a long, rich history it’s only natural that Sicily would be a hot spot for beautiful ancient ruins. From the Villa Romana del Casale to the Parco Archeologico della Neapolis, history buffs will be able to move from jaw-dropping site to jaw-dropping site. For many people one of the most exciting aspects to visiting Italy is the vineyards. It’s no wonder, since Italy has some of the most beautiful vineyards in the world. But with a limited amount of time and countless options at hand, which ones should make your shortlist of must-visit Italian Vineyards? We’re here to help. 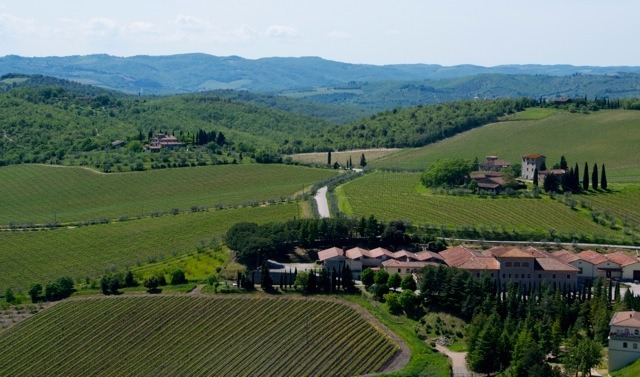 Poggio di Sotto – A truly unique vineyard experience, the Poggio di Sotto is known for its unusually high altitute (for a vineyard) as well as its amazing views, with the volcano Monte Amiata on one side and the Orcia river on the other. The wine from this vineyard is part of the “super Tuscans” family, well known for being a superior wine with a complex taste. Come for the views and stay for the tastings. Biking in Italy is a fantastic way to see the sights, but it’s important to keep safety in mind. After all, with hilly roads and new surroundings can lead to confusion and it’s important to keep aware of local customs. With that in mind, we’ve collected some tips that will help you keep safe (and on the right side of the law) while biking in Italy. Cycle paths are mandatory – Italy has some fantastic bicycle paths and not only should you make use of them, you have to. If a bicycle lane or path is available and a cyclist opts for the roadway instead then they are breaking Italian law and can be subject to a fine. While our cycling trips are for road bikers, this is still important information to keep in mind. Browse beautiful imagery from our trip to Argentina’s Patagonia, including floating glaciers. We got a very positive response to our Five Breathtaking Tuscan Villages article and thought we would follow it up with a similar piece about Umbria. One of the few landlocked regions of Italy, Umbria is well known for its beautiful landscapes and historic towns. With that in mind, here are 5 breathtaking villages in Umbria that you must see. Spoleto – One of the largest towns in southern Umbria, Spoleto is a sight to behold. With both Etruscan and Roman roots, this walled hill town offers beautiful views, including the Ponte delle Torri (the Bridge of Towers). Music lovers will especially want to visit in late June/early July to catch the famous Festival dei due Mondi, a world-famous music festival. After you’ve had gelato there is no going back to ice cream. Better yet, after you’ve had authentic Italian gelato there’s no going back to anything else. With that in mind, here are our choices for five great gelato flavors that you must try when you visit Italy. Stracciatella – Translated from Italian, “stracciatella” means “a little shred”. Appropriate for this milk-based gelato that includes fine, shredded bits of chocolate. This is the gourmet version of chocolate chip ice cream, with a smooth, delicate flavor. A modern classic! Ask anyone who has visited Tuscany, and they will tell you all about the many breathtaking villages that can be found there. From beautiful views to gorgeous houses, there is a feast for the senses around every corner. That is why I wanted to share with you 5 breathtaking Tuscan villages that you must see the next time you’re in Tuscany. With a population of less than 6,000 people, Montalcino is a small but beautiful walled village located west of Pienza. Sitting upon a hill, the town grew out of a church that was built my monks in the 9th century. These days the town is known for its stunning views, old-world charm and the procution of Brunello di Montalcino, one of Italy’s best-known wines. WHAT IS THE DIFFERENCE BETWEEN A CHURCH AND A MONASTERY? Of the many sights you see while traveling in Italy, some of the most breathtaking are the churches and monasteries. Dating back centuries, these remarkable buildings have their own histories, waiting to be explored. But what is the difference between a church and a monastery? Visiting Tuscany is a palate-pleasing experience, which is understandable because food seeps into every aspect of life in Tuscany and vice-versa. When you eat a meal here, you’re eating its history and culture. Tuscan food is known for hearty meals with simple flavors. Plenty of fresh breads, cheeses, fruits and vegetables are used to create a luscious, regional meal that leaves you feeling connected to the community. With all that in mind, here are our choices for 5 must-try Tuscan meals. Technology has come a long way, and we have every reason to be excited about it. After all, the sheer volume of information available at our fingertips is staggering. Where we get into trouble, though, is when we start to assume that this technology has made the human experience irrelevant. After all, no number of online reviews writing about clothes can replace an experienced style expert telling you the best shirt to fit your frame. Along the same lines, there is no travel app that can replace an experienced tour guide. Now it should be noted that we’re not here to trash travel apps. There are plenty of great ones out there, some of which we even use personally. We don’t want to imply for a second that they shouldn’t be used, only that they shouldn’t be used as an alternative to a real-life guide. For many foodies olive oil isn’t just an ingredient, it’s a ritual. Which makes a lot of sense, as the notion of ritual is visible in every facet of a fresh Italian olive oil’s creation. All over Italy it is produced in largely the same way now that it was thousands of years ago with a process called first cold-pressing. Before we get to the first cold-pressing process, it’s important to discuss what makes extra virgin olive so special: purity. In fact, less than 10% produced each year qualifies. Extra virgin means that the oil is extracted from the olives without using heat or chemicals. Usually this means that it is extracted when the olives are crushed or pressed at room temperature. Any taste or odor defects that happen in the process will lead to the oil being labeled as virgin, rather than extra virgin. That’s why first cold-pressing is such a valued process, it takes longer and requires more work, but you get purer oil out of it. Anyone visiting Italy knows that they’re in for some fantastic meals, and for many food-lovers cheese is foremost in their mind. Naturally Italy is brimming with delicious cheeses that will tantalize any palate, so here are our suggestions of Italian cheeses that can’t be missed. Buffalo Mozzarella – Starting off with the basics here, everyone knows Mozzarella, but until you’ve tried the fresh Italian variety you have not truly experienced this cheese. Italy’s soft, fresh cheese offers a rich, creamy texture that must be tasted fresh to be appreciated. The most popular variety is the Buffalo Mozzarella, which is made from, yes, water buffalo’s milk. Ever wonder where the name comes from? It’s from the Italian word mozzatura meaning to cut by hand, which is how the curd is separated into small balls. Awesome Machu Picchu in Peru. 1. Galleria degli Uffizi. Filled with paintings by the most noted Italian artists visitors marvel at the mastery of Botticelli, da Vinci, Michelangelo, and Raphael to mention a few. Purchase advance tickets. 3. The National Museum of the Bargello. Located near the Piazza della Signoria is a museum that houses sculptures of leading artists of the Renaissance era. I am not a savvy traveller when it comes to European destinations so I look for direction and help to achieve my most desired results. I have heard stories of difficult trips with many details required and thought, I just cannot do this on my own. At the top of my list of fabulous things is walking through Tuscany’s network of white roads. These winding routes were originally carved out centuries ago by the enigmatic Etruscans, and later expanded by the Romans so that their war horses and soldiers could reach all parts of Europe from France to England. As a matter of fact, the sentence “all roads lead to Rome,” actually refers to this network of interconnecting trails. As cities grew they became neglected, left to be used by farmers and locals as they strolled from town to town. While French wine tasters roll the wine around in their mouth and spit before tasting the next, this is definitely not the custom in Argentina. I spent a week cycling through Mendoza where lunch often included 5 or 6 wines, following which we’d cycle to another winery a mere 10 kilometers away, and begin the tasting process again. I managed one sip from each glass while watching others drain their liquid happily and with ease. I did learn how to check the colour or a red and the clarity of a white, inhale the bouquet, and differentiate between citrus, chocolate and tobacco flavours of a good Malbec. Southern Patagonia: The Bottom of the Earth. Mount Etna on Sicily’s east coast rises gracefully from a sapphire sea. The peaceful scene contradicts the power of the most active volcano in Europe. Wine tasting etiquette. To spit or not to spit? You can usually find me writing or leading some walking holiday in Italy. I took a detour so that my husband, a self-proclaimed oenophile, could discover the wines of Mendoza. I searched for a holiday that combined his love of wine with my passion for bike riding in the countryside. Trying to find one to merge our two and very unrelated loves could have been a challenge. Thanks to Duvine, it was as easy as signing the application form and writing a check.